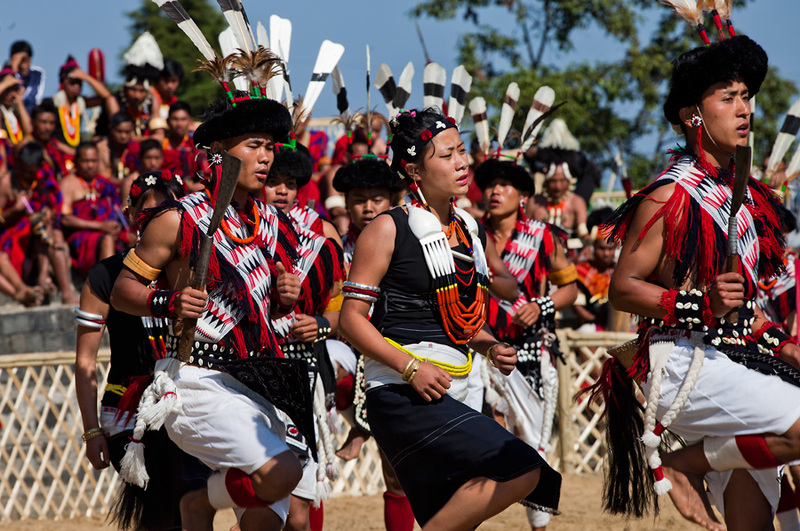 A unique and enthralling experience from the land of blue rolling hills of Nagaland – Hornbill Festival in Kohima, beckons you. Situated at an elevation of 1261 metres is the beautiful Kisama Valley exhibiting the assemblage of 17 tribes of Nagaland in the first week of December every year. From local beverages and exciting cuisine, display of assorted traditional Naga culture in the form of dance and competition, a heritage motor car rally, Naga wrestling, a beautiful fashion night, a pork-fat greased pole climbing contest, great public art, fantastic momos and rice beer, and to top it all – the biggest, and arguably the best, rock contest in India. There is no dearth of options for immersing yourself in the Naga handloom and handicrafts in Kisama Village and night market in Kohima town. What we found unique about the Hornbill however is how eclectic it is. 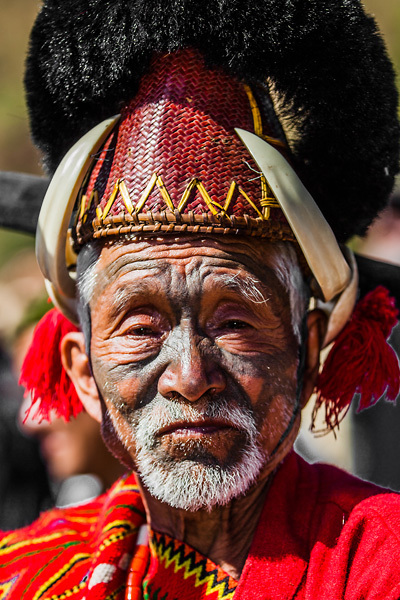 Close your eyes, and mix this in with the gentle camaraderie and joyousness of the Naga people, set amidst beautiful mountain surroundings of the Patkai range. Open your eyes now and let the colours and sights of this mesmerizing festival in, which will remain lingering on for a lifetime. We have combined your visit to the Hornbill Festival at Kisama Village in Nagaland, with a trip to Khonoma Village, the World War II sights in Kohima town, and village visits in Rengma and Ao villages in Wokha and Mokokchung, encompassing an organically linked tour of Nagaland., This will be followed by entering Assam through the beautiful verdant tea gardens, ultimately cruising in the mighty Brahmaputra River to the Majuli Island, where one can immerse in the Vaishnavite monastic culture and Mishing tribal villages. 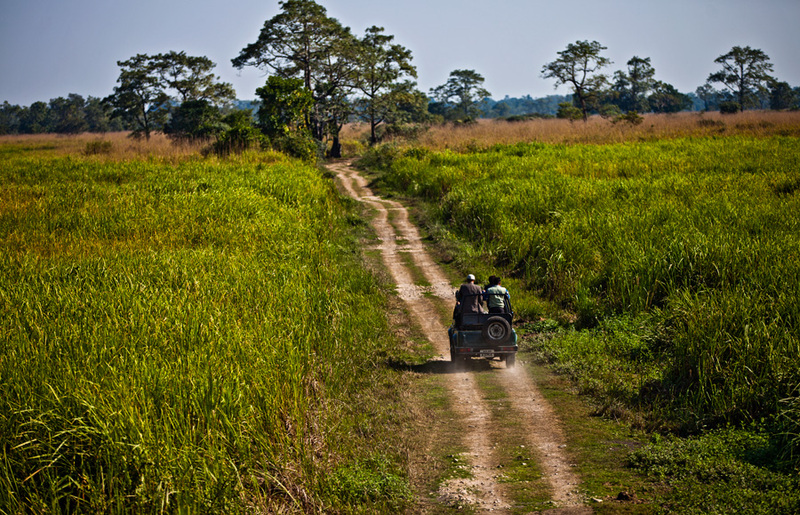 The tour will be topped by a brief snapshot of wildlife in Kaziranga National Park on the second day morning. 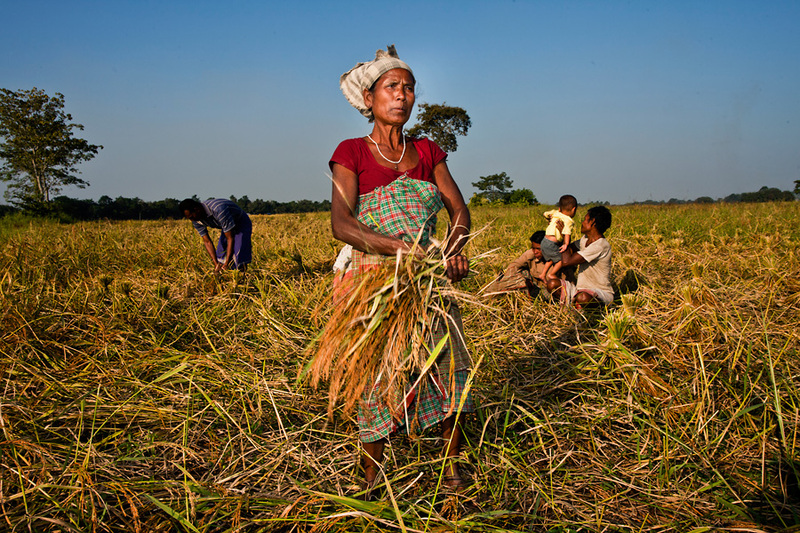 Day 01, Sunday, December 1, Arrive at Guwahati OR Jorhat airport and drive to Kaziranga. Please see arrival/departure section for group pickup timings. Day 02, Monday, December 2, Early morning visit to Kaziranga National Park. Subsequently drive to Majuli, crossing the mighty Brahmaputra on a ferry. Overnight in Majuli. Day 03, Tuesday, December 3, Full day at Majuli. Visit to the Vaishnavite Monastery and walks in the villages. Day 04, Wednesday, December 4, Drive from Majuli to Kohima. Overnight at Kohima. 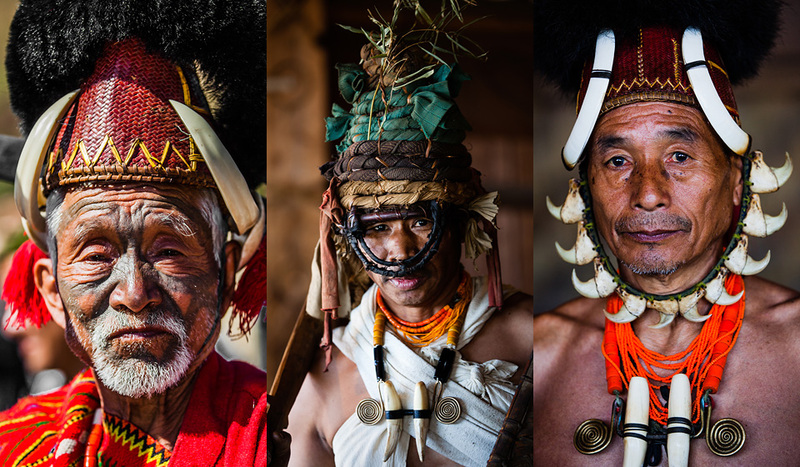 Day 05, Thursday, December 5, Full day at the Hornbill Festival. Day 06, Friday, December 6, Full day at the Hornbill Festival. Day 07, Saturday, December 7, Village visits around Kohima, to the dwellings of Angami Naga people, particularly in Khonoma. Day 08, Sunday, December 8, Drive from Kohima in the morning to Dimapur and departures from Dimapur Airport or the train station at Dimapur. Breakfast from Day 02 to 08; all meals during Kaziranga, Majuli and Kohima. Day 01 From Guwahati/Jorhat airport, we drive to Kaziranga National Park. Day 02 We will go on an early morning safari at Kaziranga National Park. 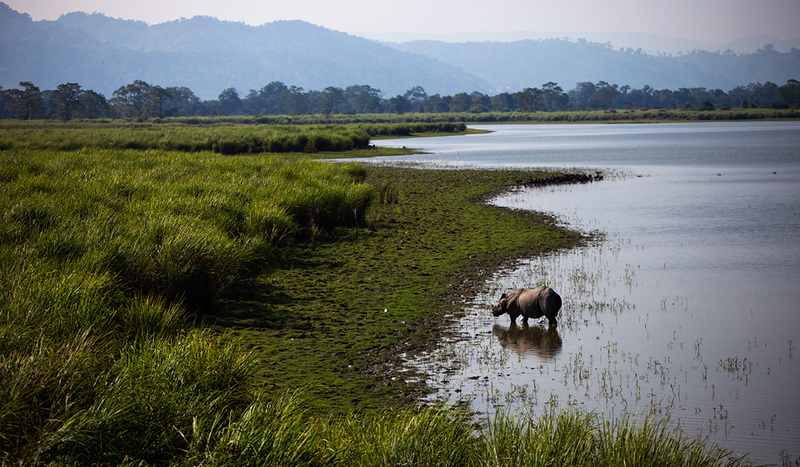 You will be surprised how common here are the one-horned rhinos, the pride of Kaziranga. The park’s riches are not limited to the rhinos alone. There is a thriving population of a variety of large mammals and birds, many of which may cross our paths during the safari. But we know that your eyes may be set on the powerful rhinos, which you may not see so abundant anywhere else in the world. Later, we will drive out to Majuli, crossing over Brahmaputra on a ferry, where we will be staying overnight. 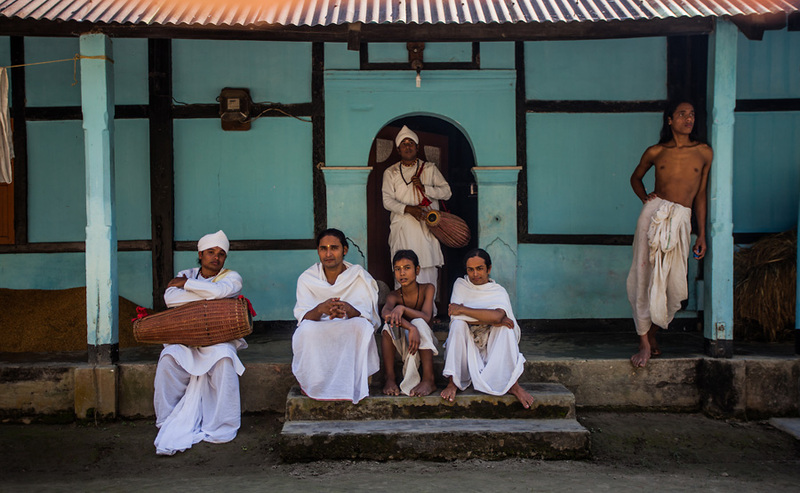 Day 03 Majuli has a confluence of Vaishnavite culture and Mishing tribal culture. 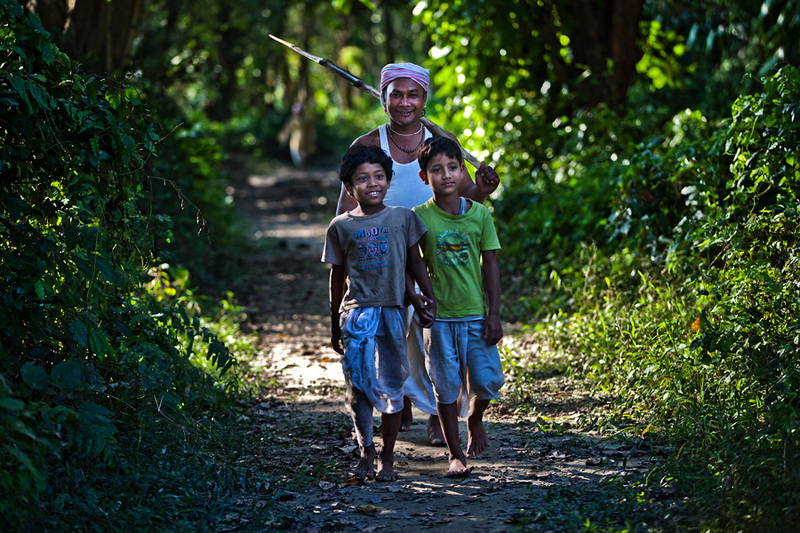 A village trail walk will let you explore both; there will be plenty of opportunities to observe and capture the local life; the colourful weaves and clothes of the people make for wonderful portraits. 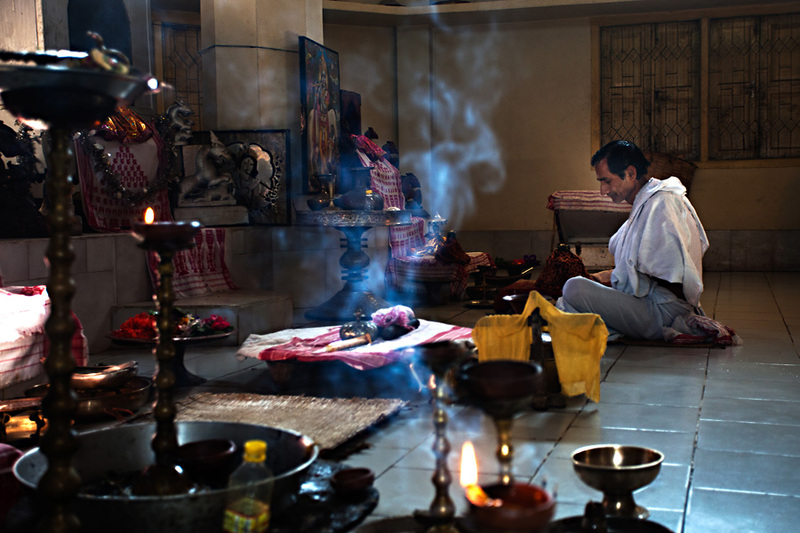 We will visit the Sattra, or monasteries of the Vaishnavite sect of Hinduism. 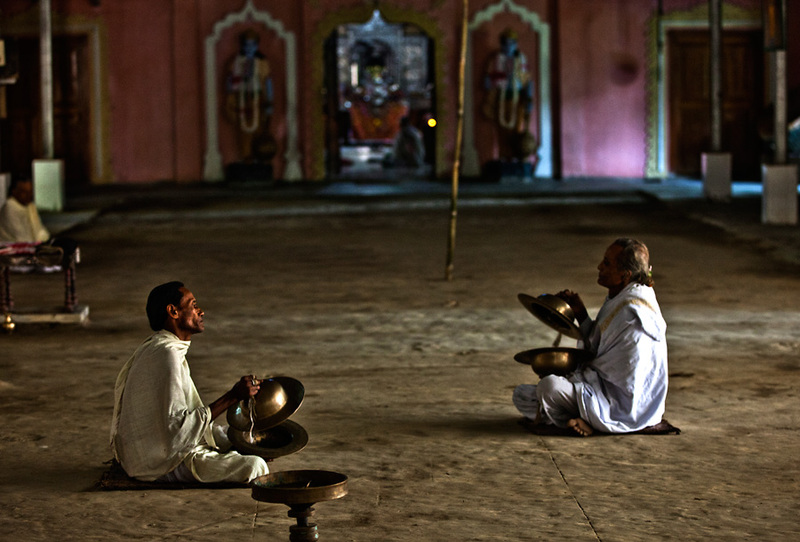 Expect a performance by the monks; their energetic dance performance accompanied by drums and cymbals are a visual treat. You will also be given a guided tour of the Namghar (the prayer hall), and the living quarters of the monks. We stay at Majuli tonight. Day 04 This morning, we depart from Majuli and drive up the hills towards Kohima, stopping at will along the way in the tea-estates and rice-fields of Assam. We reach Kohima in the evening, where we will be staying tonight. 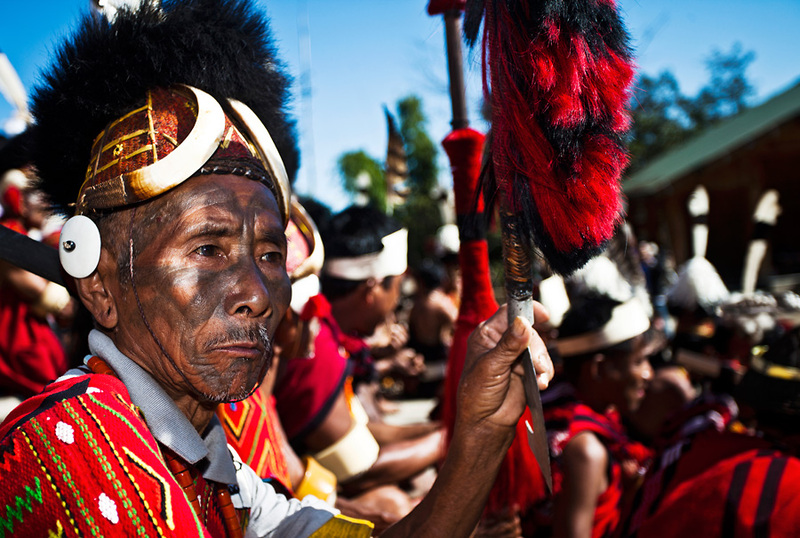 Day 05 and 06 These are our days to visit and photograph one of the most amazing sights in Nagaland – the Hornbill Festival, where the various tribes of Nagaland get together to showcase their customs and traditions. Fantastic costumes, fabulous feats – capture all with help from your accompanying photography expert. Try out some of the local cuisine from the various stalls around. 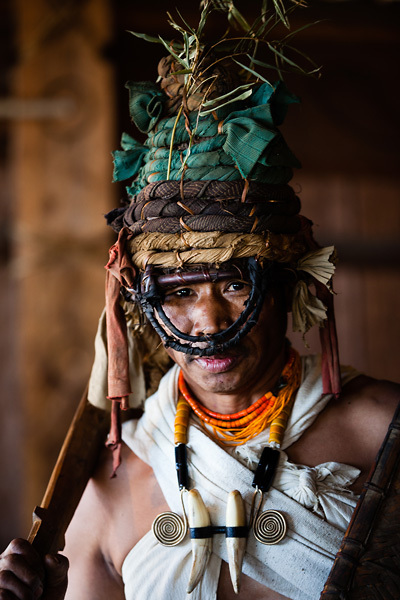 After the entire day spent at Kisama village–the location of Hornbill Festival, night market in the streets of Kohima will definitely rejuvenate you. Colourful stall adored with sparkling lights, each one has something unique to offer. Day 07 It’s time to explore Nagaland beyond Hornbill Festival. 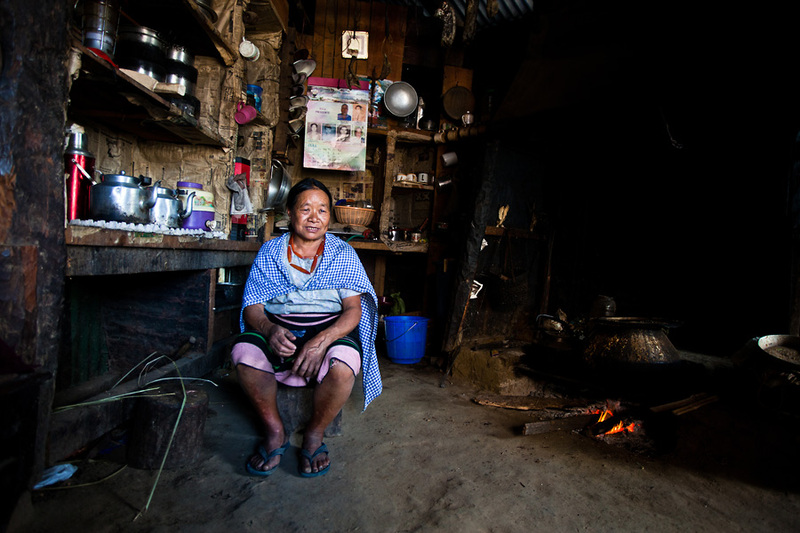 Today, we visit native Angami Villages an hour’s drive from Kohima. This visit will offer interesting insights to communal living of Angami and other Naga people. 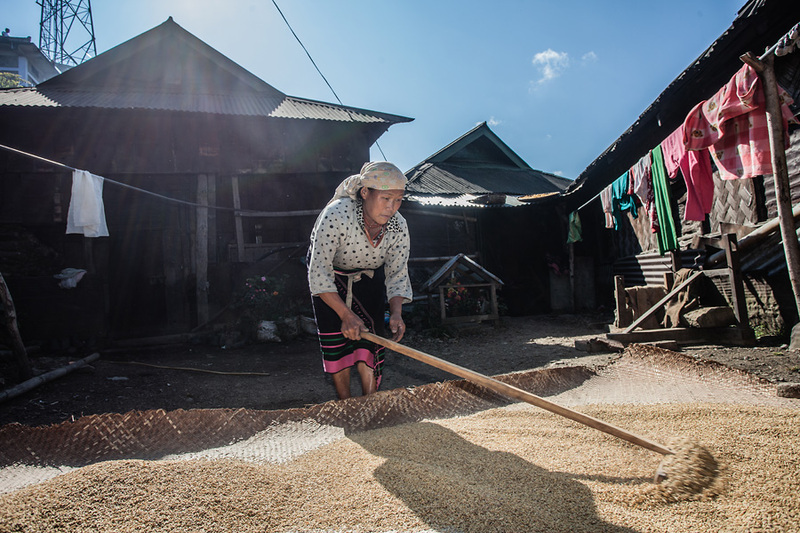 We will see, understand and photograph the way of life in these villages, interacting closely with the villagers all through the day. Day 08 We drive out early in the morning from Kohima to Dimapur, and departures. Lokpriya Gopinath Bordoloi International Airport is situated 22 kms away from Guwahati in Borjhar and is about 430 kms to Kohima. It is well connected with flights from rest of India. You have the option of flying in to Dimapur airport from Kolkata and New Delhi, but the flight connections to this airport are sometimes erratic. Another nearby airport is Jorhat, which is about 200 kms from Kohima, with milited flight options. There are also helicopter services from Guwahati to Kohima during the Hornbill Festival, which have to be booked ahead of time, as the seats fill up soon. The group will start in Guwahati and ideally the arrival must be before noon, in order to travel the distance by road to Kohima. This plan looks great. Can you send me the planned dates and costs to my e-mail ID? The group is closed for this trip. However, sent you details of our other trips in this season. hi can you send me details of this trip and upcoming tours? Could you please send me the booking details? I would like to join you there. Saw an article in the papers and decided to look you up, sounds a great concept, was wondering what dates this trip would start at and what would be the cost, if this is one is full request that you can send in when the next one is scheduled to be. Do send me trips planned for 2011 please especially Bhutan. The horn bill festival sounds awesome though! Great going ladies and sole laid back soul. Wonderful!! Keep it going. Hi sent you our upcoming trip to Arunachal. Hi, I am looking for a Trip to Bhutan or other locales in North East In May 2011, can you please mail me details for the Trips planned next year. Hi there, You have done an incredible job. I’ll certainly digg it and in my view recommend to my friends. I’m sure they’ll be benefited from this website.